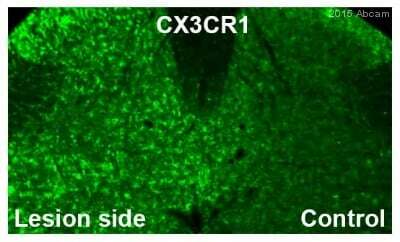 Is ab8021 expected to react with rhesus monkey CX3CR1? Thank you for contacting us. 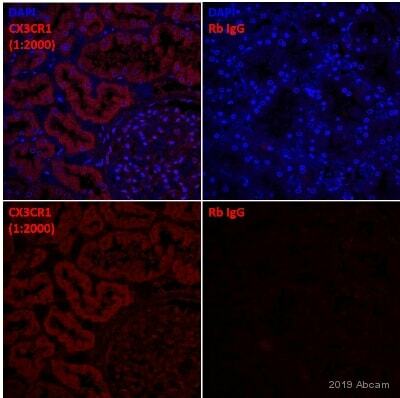 The alignment of the ab8021 immunogen sequence with the protein at the following link showed 90% identity, so we expect the antibody will react with your samples. 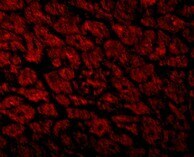 The code we discussed will give you one free primary antibody before the expiration date. To redeem this offer, please submit an Abreview for rhesus macaque and include this code in the “Additional Comments” section so we know the Abreview is for this promotion. 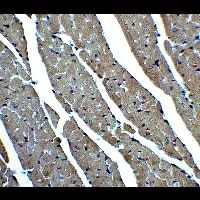 I have been using ab8021 for IHC-P for about two years and it has worked great. 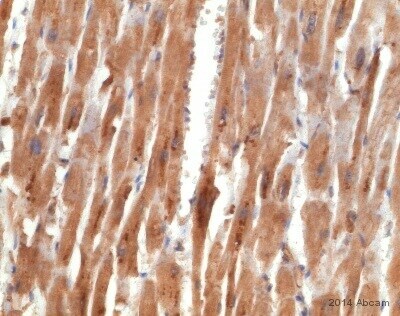 However, recently I have not had the same level of detection (less staining). I am now using lot #GR82315-1. Have you had any problems with this lot? Do you still have any previous lots that I can purchase? Thank you for contacting us about the issue you are having with the most recent vial. We have not had any complaints about lot GR82315-1 but if all your reagents and samples are the same as what you used for successful stains, then it is possible you received a a bad vial. We do have an alternative lot. 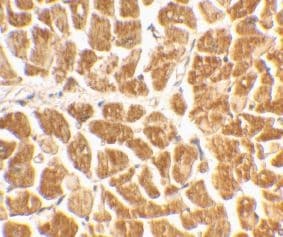 Can you please tell me what your samples are (tissue, species, and fixation), how you block them before staining, and how much antibody you apply? What kind of antigen retrieval do you use, if any? Are you confident the secondary antibody is effective? Finally, do you know the lot number or numbers of the antibody that worked well? What blocking solution was used in flow cytometry? Thank you for your call last week and for your patience while I have been in touch with the lab regarding your enquiry. 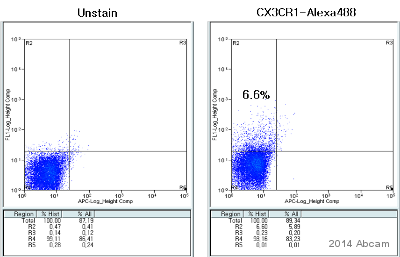 This antibody was tested for flow cytometry in an outside laboratory, and all of the protocol details are not available. 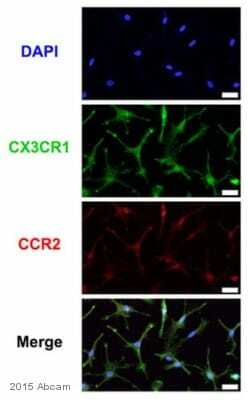 It was diluted 1:1000 for FC using CX3CR1-transfected cells, so the antibody may need to be used at a higher concentrated for non-transfected cells. 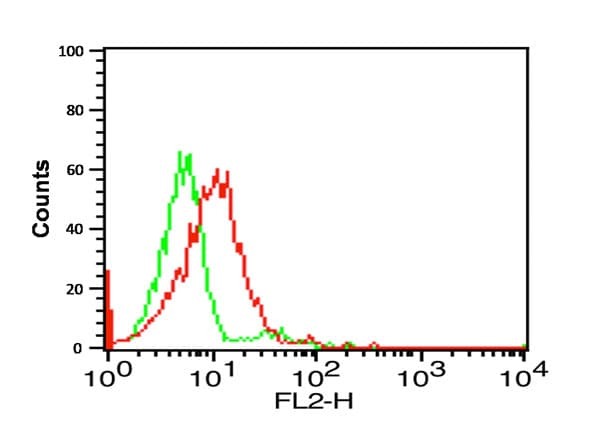 We would recommend our standard blocking agent, 10% FCS, though other sera should be fine as well (except for rabbit serum, as this will results in high background from the anti-rabbit secondary antibody). I am sorry that I don't have more information, but if you have further questions or if there is anything else that we can do for you, please let me know and I'll be happy to help.